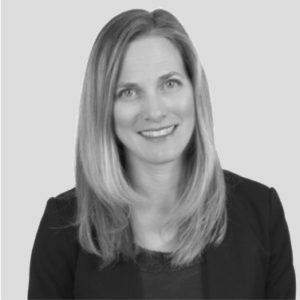 Stacey is a Chartered Professional Accountant (CPA, CA) with 14 years of experience in financial accounting and reporting, tax, auditing and management reporting. Prior to joining Western Investment Company, Stacey worked in a number of financial accounting lead roles, including most recently with Western’s first equity investment, GlassMasters Autoglass, guiding them through the acquisition phase of the business. Stacey obtained her CA designation at a national CA firm working in a wide range of industries performing both financial and tax advisory work. Since that time, she has worked in various controller roles and at an business advisory firm where she prided herself in working with business owners helping them achieve their business goals. She brings extensive experience working with small business owners and a strong financial and tax background to Western. When not at the office she devotes her time to be with her two children and can often be found in the hockey rink trying to stay warm. Guided GlassMasters Autoglass through the acquisition by Western and subsequent reorganization. Going the extra mile to add value and create impact to the businesses she supported in public accounting. B.Comm with honors in Accounting – Haskayne School of Business, University of Calgary. Continual commitment to professional development. Ten years in public practice working with a variety of industries. Financial Controller at Unicom Graphics, Glassmasters Autoglass and Western Investment Company of Canada. Prior to becoming a CA Stacey enjoyed a career in health care, working in critical care.